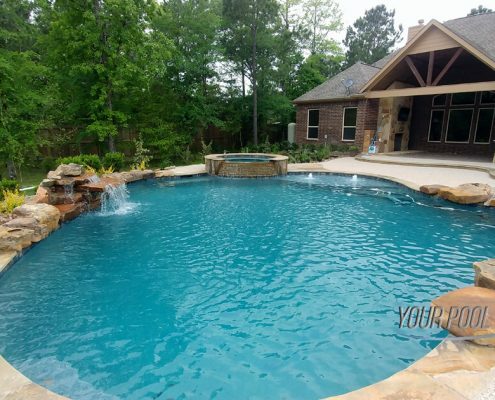 Montgomery, TX pool company providing custom inground swimming pool construction and pool remodeling services. 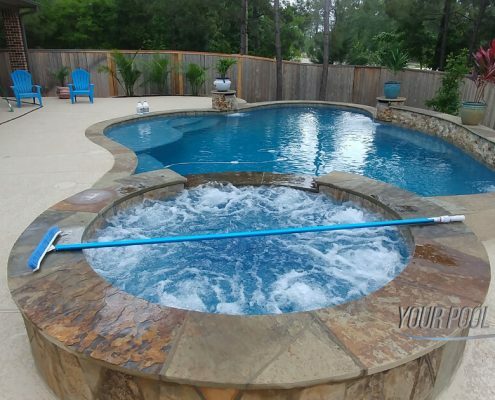 High quality swimming pool construction company in Montgomery Texas with team members of over 20 years experience providing custom pool installation and pool renovation services to Montgomery, Lake Conroe, Pinehurst, Navasota, Plantersville, and surrounding Montgomery County areas; also Huntsville Texas homeowners 77356, 77316, 77355, 77868, 77363, 77362. 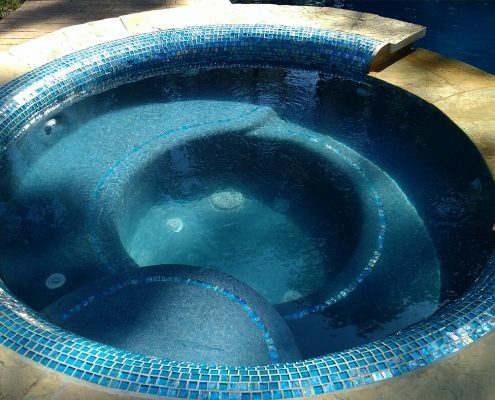 Our team has extensive experience designing & engineering new pools around the local area and we provide honest fair pricing with professional quality installations. 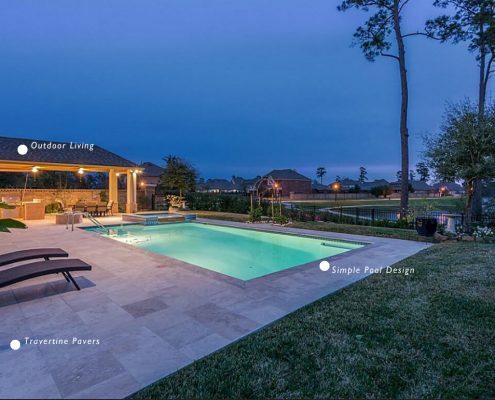 Specialties: Top quality Custom designed in-ground gunite swimming pools, outdoor kitchens & patio covers, pergolas, cabanas & palapas, and more near the Montgomery Texas area. Our team is trained & experienced in the construction of total backyard transformations. 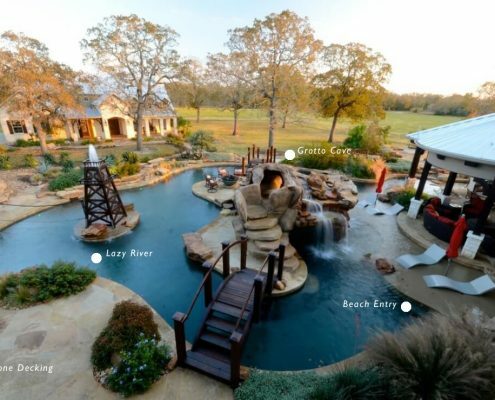 Having a pool might be one of the best ways to enjoy yourself outdoors if you live around Montgomery or on Lake Conroe. 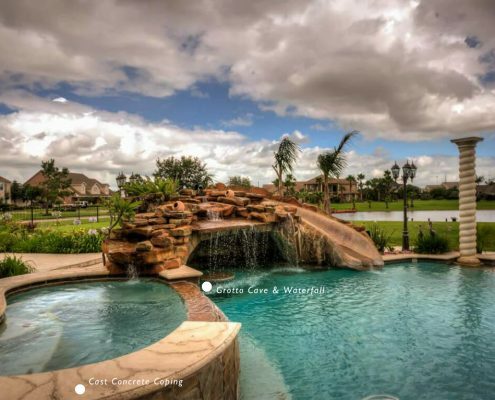 From the luxurious views in Grand Harbor, Grand Lake Estates, Crown Oaks and Walden Estates, to the quiet private golfing country throw-back communities and trails of Montgomery Hills, Woodforest, and Crown Ranch there is no better area to install and enjoy a swimming pool. With pool prices well within acceptable ranges you could find yourself splashing around in your new pool in less than 3 months. Our designers & project managers know the Montgomery County area extremely well. 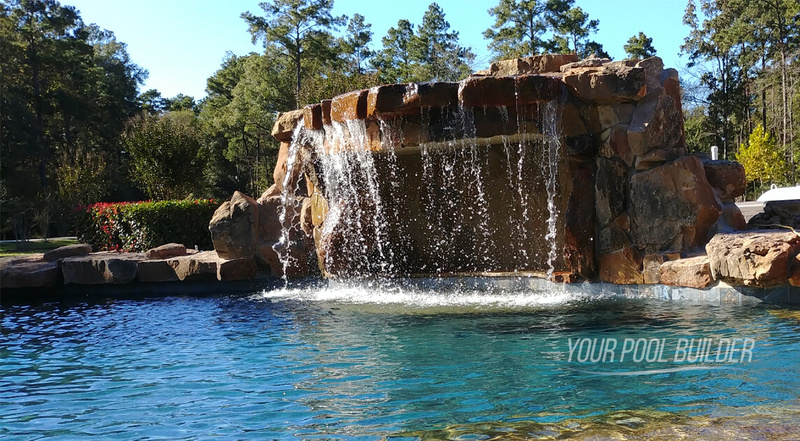 We build with over 20 years of swimming pool construction pride and experience knowing the specific soil conditions present around Lake Conroe in Montgomery, and therefore we know exactly how to engineer your pool correctly. Building a pool is a process that requires a dynamic relationship between our client and skilled craftsmen. We make sure that our staff is there from start, during and after the construction process to inform you and keep the project on schedule & budget. 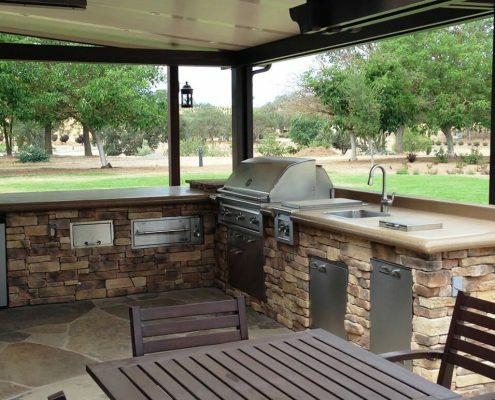 We take great pride in not only listening to your needs and wishes, but also in adapting those desires into a serviceable and functional backyard design. 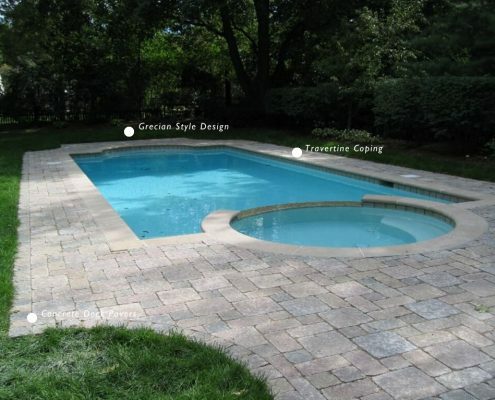 We specialize in custom inground gunite swimming pools and spas and also custom patios and outdoor living areas. 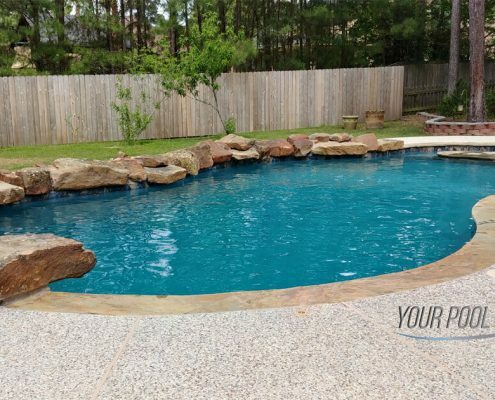 The most common type of pool you might find in Montgomery, TX are built with gunite, a concrete mixture applied pneumatically to an excavated shape. 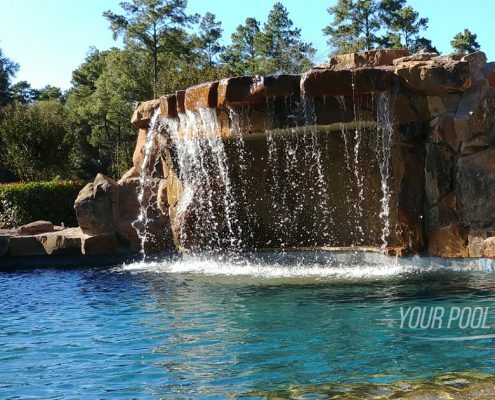 These gunite pools have almost limitless customization options the most popular on the lake being Vanishing Edges, caves and waterfalls, and endless design options. Not to mention the strongest in the pool industry requiring the least amount of maintenance! Get swimming with a starter custom designed pool package. 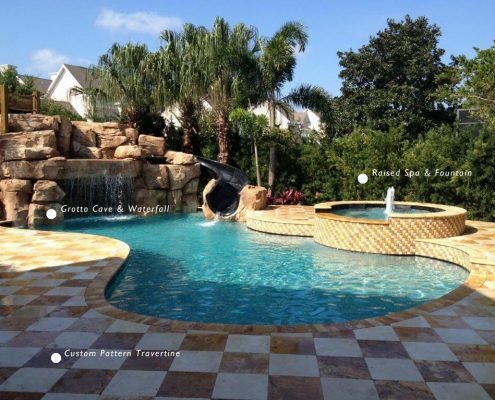 Exclusive custom gunite pool pricing – Affordable backyard pools! Our team has extensive experience installing numerous projects both commercial and residential. 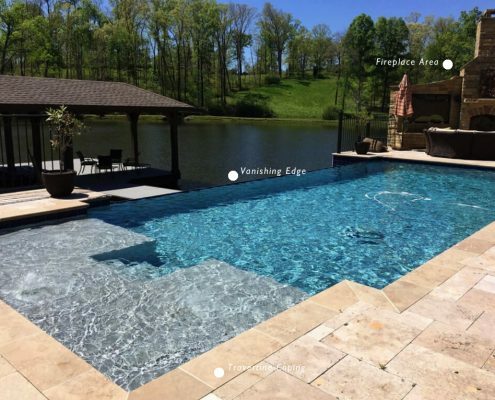 We understand your need for personalized pool construction service and can customize your pool or spa to be a perfect fit for your Montgomery property. 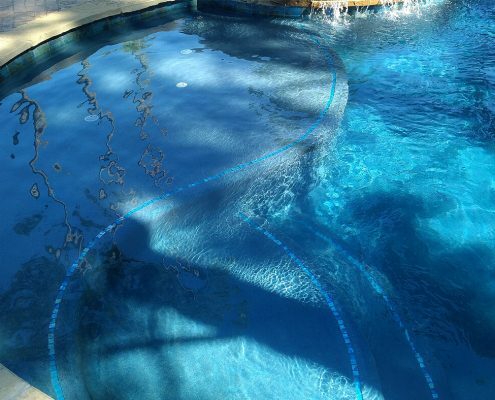 Our custom pools have been installed in all types of variations and yard sizes. Let’s talk about your pool design options & features! No matter the pool you are looking for we are here to help you get it built! Choose a pool design such as a geometric shape or a free flowing natural design to fit your landscape. Add creative and atmospheric features such as a spa, waterfall, or custom lighting, water features, and more. Including the latest technology for wireless automation control and LED lighting. From mild to wild if you can imagine it, we can build it. Your design options are limited by your own imagination, so get creative! 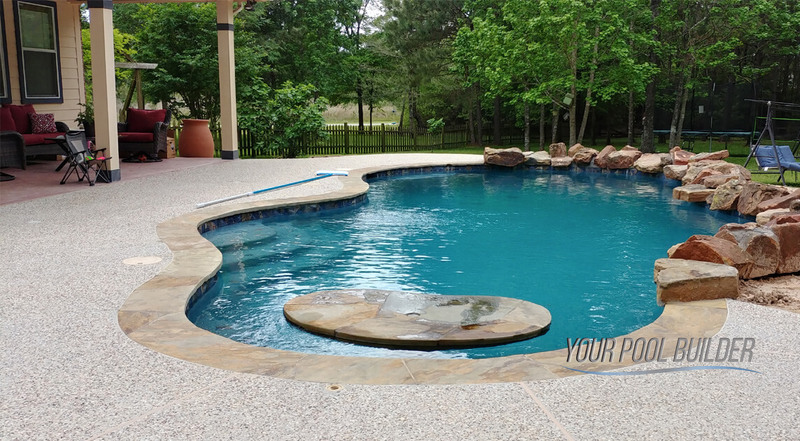 With so many awesome features available to customize building your dream pool has never been so easy! 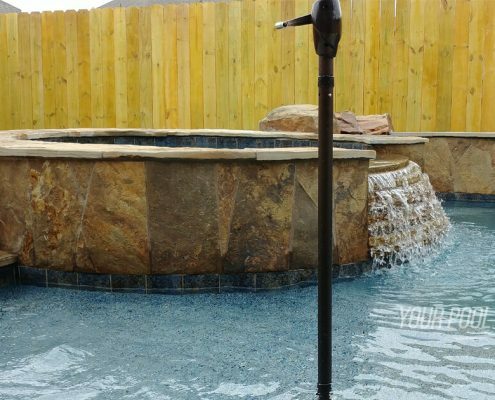 As an established pool company with over 20 years of construction services we are able to offer the most cutting edge and top quality custom pool accessories, gadgets and technology features available on the market. 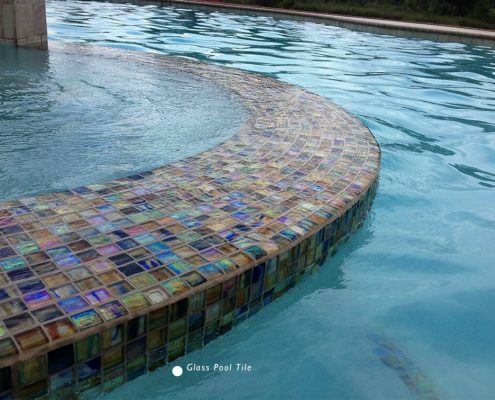 With such a wide range of options you will be able to create the perfect look and feel, a pool that has distinctive visual features both day and night! By the way, we are swimming pool remodeling and restoration experts! It is true that after so many years of use the pool will need special attention. 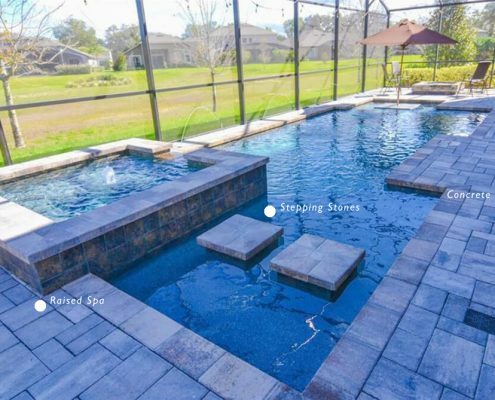 Let us show you how we have repaired old tile, replaced worn pool equipment, and upgraded existing pool design features for less than the cost of a brand-new swimming pool installation. We can also assist you in planning landscaping features to enhance your existing swimming pool design. 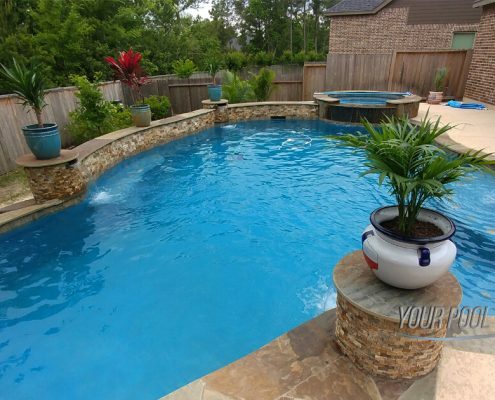 We have helped so many Montgomery TX pool owners renovate their existing swimming pools and we’d love to help you too! 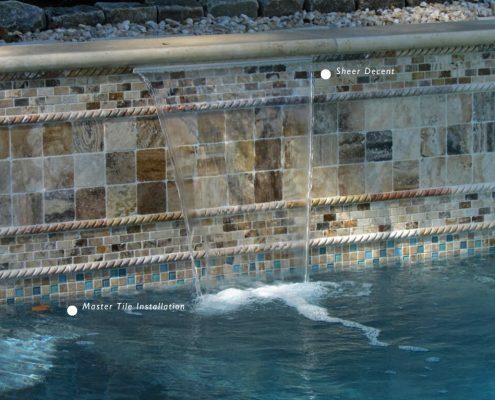 We can restore the existing water line pool tiles without having to replace them completely! 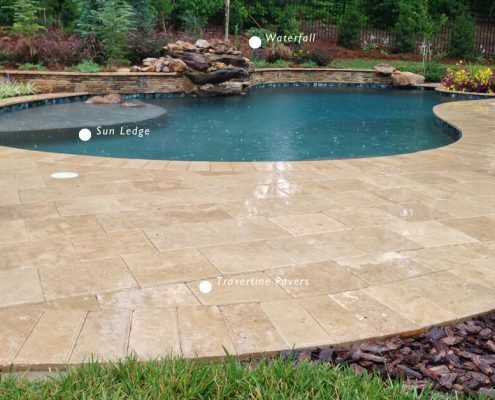 Using our specialized abrasive media blasting equipment that guarantee results, we are your source for pool tile cleaning services in Montgomery, TX. Are you thinking about upgrading the interior plaster of your pool with a performance pool interior finish? 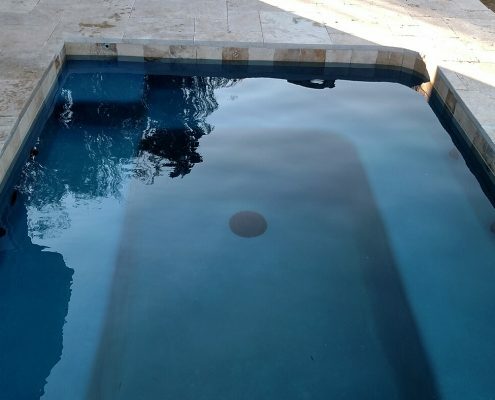 With so many new and improved pool plaster finishes available on the market today we can help you choose the perfect interior surface to compliment your existing pool when it comes to pool resurfacing in Montgomery, TX. Does your pool need a total make over? 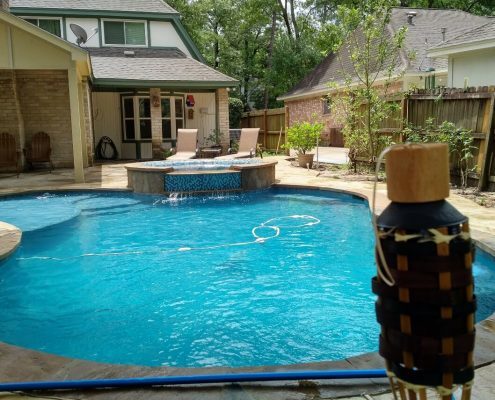 From removing old swimming pools and rebuilding new inground pools in their places, to making simple pool equipment repairs around Montgomery, TX we can handle anything in between that your pool may need. 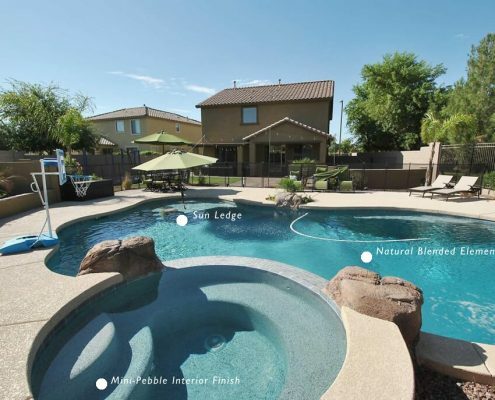 Replace pool tile, replace pool coping, upgrade pool lighting, and so much more! 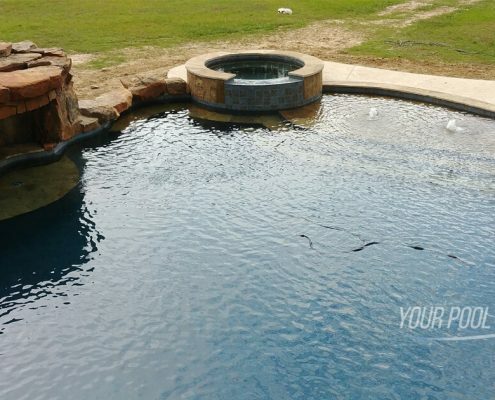 It is our pleasure to provide our specialized pool renovation services to all current pool owners throughout Montgomery, TX and surrounding areas. 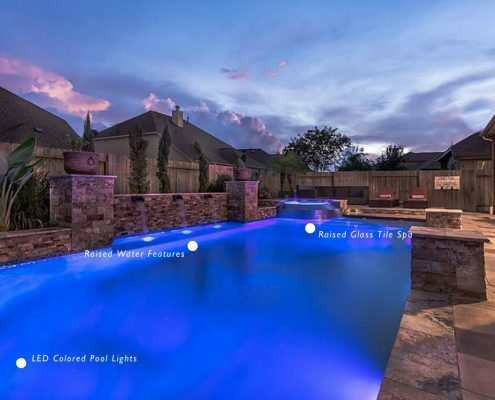 Whether you are interested in a new swimming pool installation or remodeling an existing swimming pool, don’t forget to add even more value to your backyard by adding LED landscape lights around for an inviting atmosphere, safety. 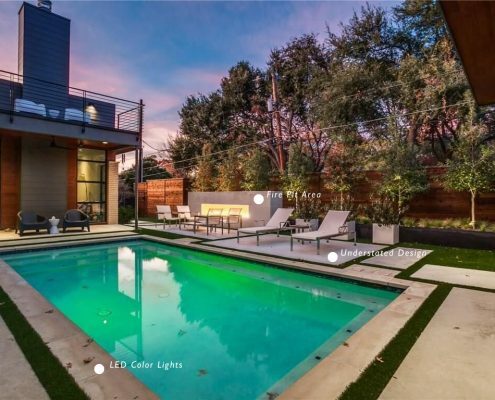 Landscape lights add the cherry on top of a fully designed backyard oasis! Montgomery, TX is located in Montgomery County Texas near Lake Conroe and is the birthplace of the Texas state flag. Regulations and ordinances for home improvement according to the Montgomery TX Permitting Office includes Grand Harbor, Grand View, portions of Walden Rd, and portions of Walden Estates, Waterstone, and Palm View. 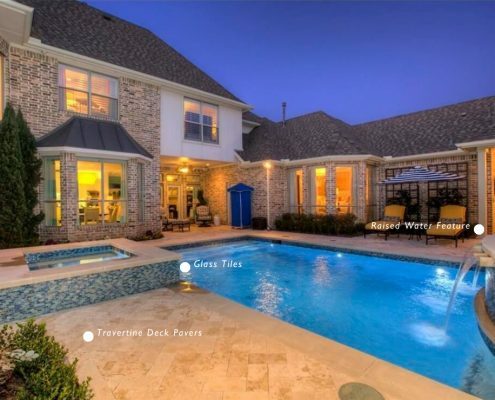 This portion of Montgomery is surrounded by the beautiful Lake Conroe, a great place to own a pool! As the first part of the process you may want to check with the local HOA / POA and the city (if you are within the city limits). 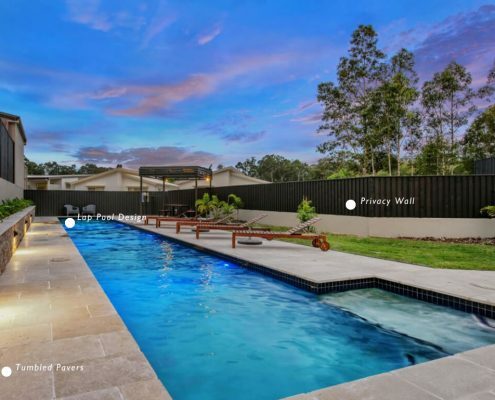 Part of our job as swimming pool builder is to know your local area rules and regulations well, so that the approval process to start your pool project is completed with the least resistance. Zip codes that include city permits for swimming pools in Montgomery TX are: 77356. If you have questions regarding the rules of applying for a swimming pool project in Montgomery, TX you can give us a call or send an email. Thank you for your interest in our company! Our goal is to be your professional builder that takes a dedicated approach to completing your pool project. We deliver thoughtfully crafted, beautiful aquatic elements that are reflective of the clients desires to create outdoor environments seamlessly blended with the surrounding architecture. Our team is fully trained and familiar with the current trends in your local area. We understand that every Montgomery, TX home owner requires unique and definitive project specifications and will settle for no less than the best customer service. 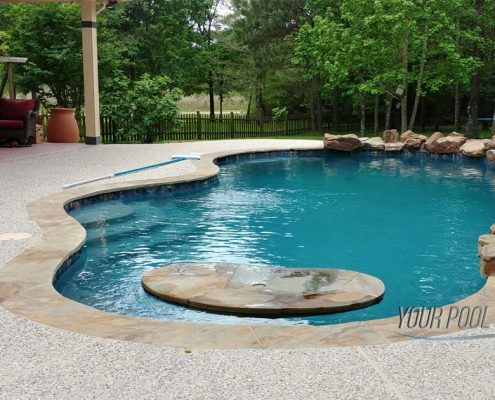 pool company specializing in custom inground gunite swimming pool construction and remodeling services in around and near Montgomery, TX and Lake Conroe, TX areas. "Mike is extremely professional and will stop at nothing to go the extra mile. He built my pool 4 years ago, and when I called about a little issue he gave me a warranty anyway. How often can you say that about a pool company!!"